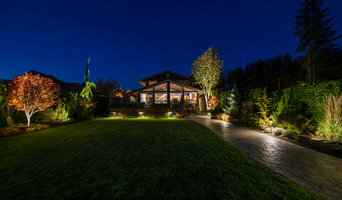 Northwest Outdoor Lighting specializes in creating customized landscape lighting designs utilizing transparent installation techniques and superior products to stylishly illuminate residential and commercial properties. We focus directly on each client’s objective to achieve aesthetically pleasing yet security conscious lighting at an exceptional value! Low voltage landscape lighting is a wonderful way to enhance your property value and give you many more hours of outdoor pleasure and overall security. With our new LED fixtures, little energy is needed for incredible illumination! For the amount of wattage in one flood lamp we can provide great looking illumination throughout your property! With deep expertise spanning from fundamental physics to art, we're a team of artists, engineers, and designers dedicated to making art technology a reality. 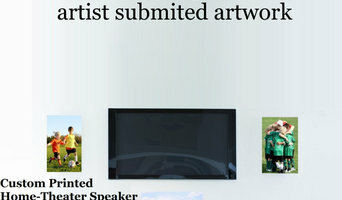 Our Speakers look like a painting, hangs like a painting, sounds like a speaker. Speakers for eyes and ears. Luxury retailer of technology, accessories, apparel, and other products for modern living. 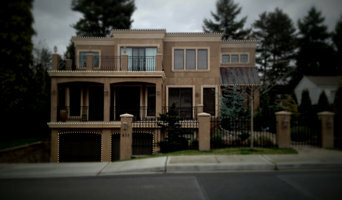 What services do Seattle outdoor audio and visual system professionals provide? For the most part, people hire outdoor entertainment system providers for backyard installations. After all, pool parties and barbecues are much more fun when there is music to enjoy. How do they do it? Your Washington outdoor custom audio system technician can work with your landscape designer or architect to install weather-resistant outdoor speakers, discreetly buried into your landscaping with no loss of sound. Here are some related professionals and vendors to complement the work of outdoor lighting & audio/visual systems: Landscape Architects & Landscape Designers, Landscape Contractors, Decks, Patios & Outdoor Enclosures, Siding & Exteriors. Home theaters are moving outdoors, too. Sports fans can grill without missing the game, and families can invite neighborhood friends over for movie nights. Special weatherized flat-screen TVs are coated to minimize glare. Imagine your Seattle, WA backyard with a custom-designed outdoor theater system — complete with a large projection screen. It makes backyard entertaining easy. Find outdoor audio and visual system professionals on Houzz. 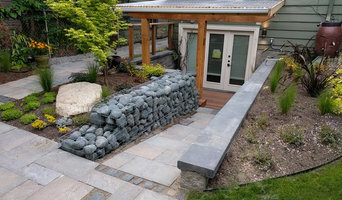 Look in Houzz’s Professionals section to find Seattle, WA outdoor audio and visual system experts. Narrow your search to the nearest city or metro area for a list of nearby businesses. Get contact information, read reviews and look at completed Washington custom outdoor sound system projects.